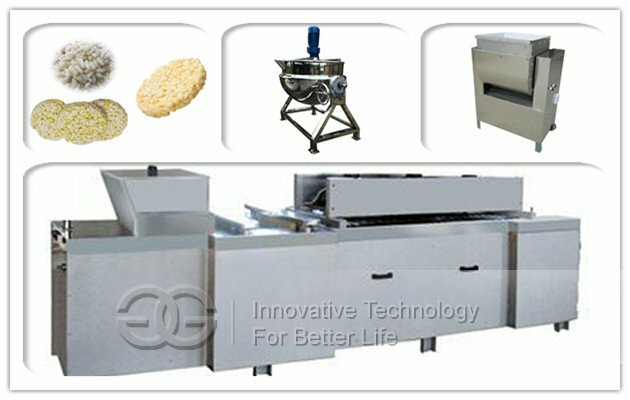 This puffed rice cake production line is consist of rice air flow puffing machine, sugar cooking pot, temperature control nonstick mixer, automatic molding machine. 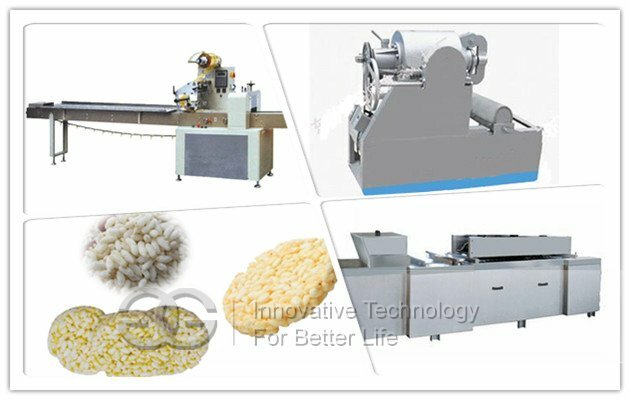 Usage: Rice Krispies Treat Machine| Rice Cake Processing Line can be used to make puffed rice, wheat, black rice etc crisp candy. 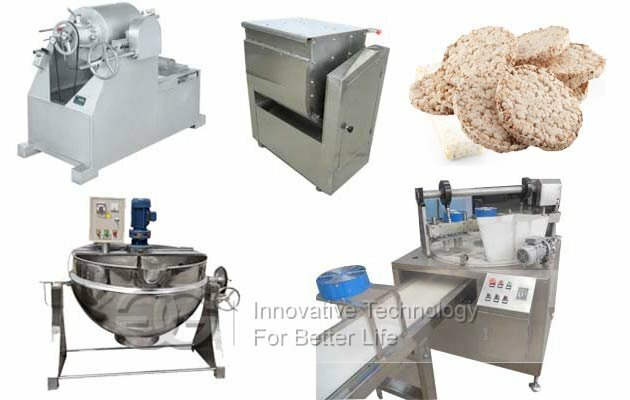 This line is consist of rice air flow puffing machine, sugar cooking pot, temperature control nonstick mixer, automatic molding machine and pillow type packing machine. 1. 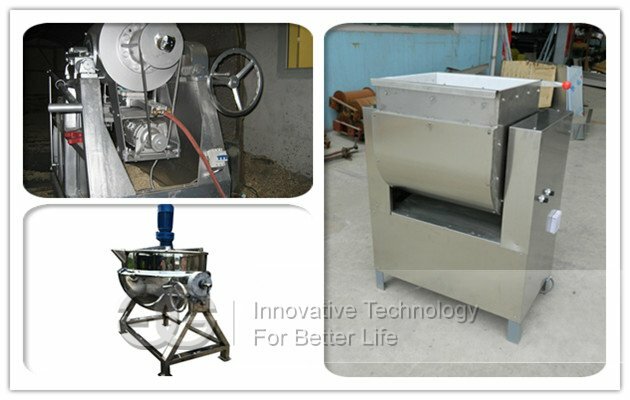 Large output, energy-saving, simple operation, small labor force strength and high efficiency. The workers who are familiar with operation can operate three sets of bulking machines at the same time. It is kettle type cooking pot, sugar cooking effect is good. And easy to operate. Automatic discharge. It adopts far-infrared plate heat, heat uniform, fluoride nitrogen-treated barrel surface besmear not touch thrun coating, mixing the effect is much better. 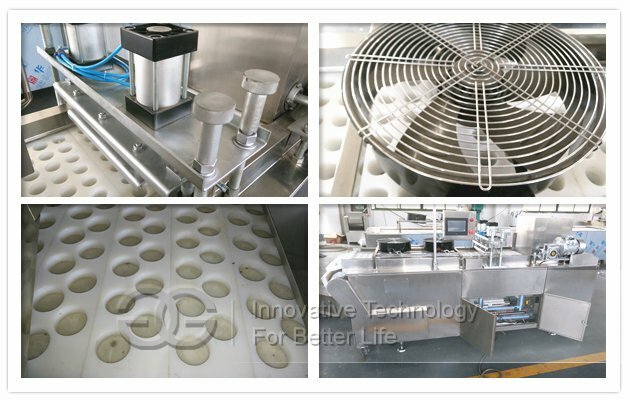 Equipped with automatic temperature control system, temperature regulation more convenient. 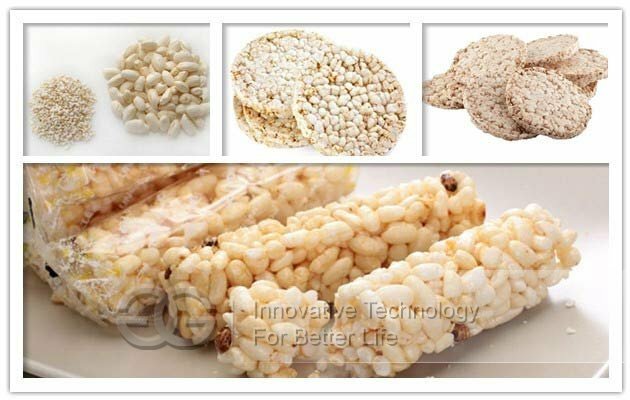 Use the transformation of different molds, can produce round, per rod, square and other shapes of wheat, rice, pass, egg sweet potato cakes, frozen swelled candy rice and pearl bar so on. 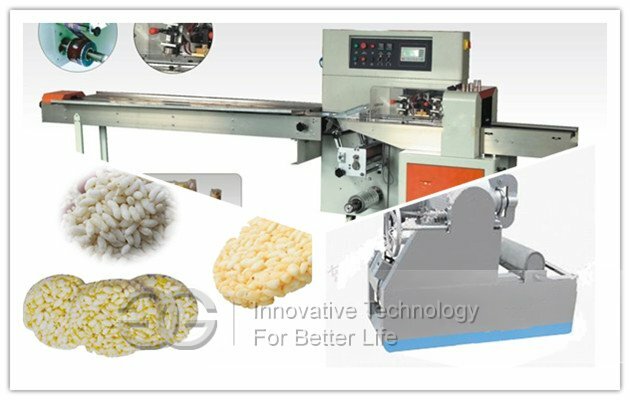 Simple driving system, reliable working, convenient maintenance,All the controls are achieved by software, convenient for function adjusting and upgrading.